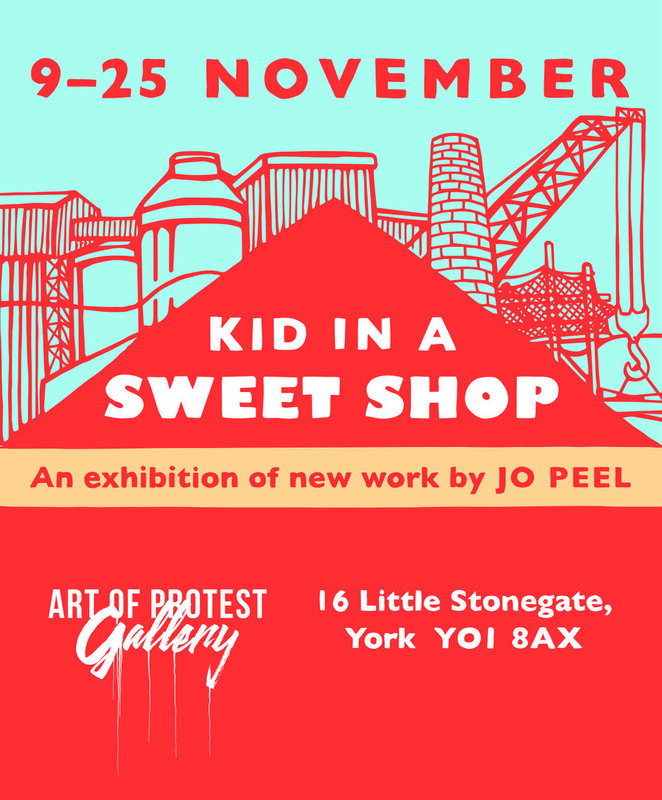 hall and a street art installation at The Art of Protest Gallery on Little Stonegate prior to the exhibition opening. Jo Peel explained her inspiration “Over the last nine months I have been researching the British chocolate industry. roots and a philanthropic approach to business. they stand now. Cadbury is the only one left still functioning as a chocolate factory today. does our favourite thing of making us look and reassess what is beautiful and worthy of being a subject for painting.